I am so impressed with Mountain West Medical. The staff was friendly and knowledgeable. He addressed all my issues thoroughly. I trust his medical advice and direction. Friendly and very professional. Worked within my comfort zone and respected my concerns. Dr. John is so friendly and knowledgeable! Not only that but crazy funny! John McRae, DNP, MPH, NP-C, or Dr. John, as he’s known to his patients, is a family nurse practitioner trained to offer healthcare services to all populations. He started Mountain West Medical Services in Meridian, Idaho, to offer a more holistic medical approach to men and women in the community. Through his training, Dr. John quickly realized that modern medicine tends to treat symptoms, not the individual, so he decided to take a different approach that encompasses the whole person, not just the symptom. His practice is designed to give him the time necessary to listen to his patients and get to know them. 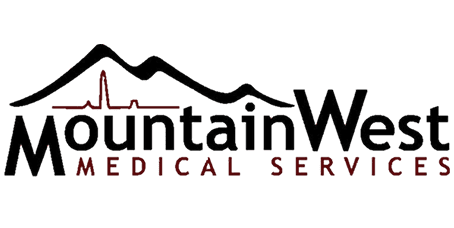 In addition to taking care of your general health needs, Dr. John offers a number of specialty treatments at Mountain West Medical Services, including the use of the Metabolic Code® for a comprehensive metabolic health assessment as well as treatments for weight loss. A number of cosmetic procedures are available to rejuvenate your appearance, including Botox®, microneedling, platelet-rich plasma/injection platelet-rich fibrin therapy, and Kybella®. Dr. John received bachelor’s degrees in both biology and nursing from Boise State University in Boise, Idaho. From there he attended A.T. Still University where he earned his master’s degree in public health. He was part of the first graduating class of nurse practitioners at Idaho State University in Pocatello, Idaho, to receive a doctoral degree. Dr. John is a member of the American Academy of Antiaging Medicine. He also is an adjunct professor at Idaho State University where he teaches nurse practitioner students. When he’s not improving the health of his patients, Dr. John can be found running around outside on some adventure with his wife and three children. He enjoys fly fishing, hiking, horseback riding, hunting, camping, competitive shooting, and adventure racing. We have contracted with most major insurance providers to provide medical services. We are currently part of the Bright Path network as well as St. Alphonsus Health Alliance Network. We are contracted with Blue Cross, Regence BlueShield, IPN, Select Health, St. Al's Health Alliance, United Healthcare, Cigna, and Medicare. In this blog, Dr. McRae covers the basics of hair loss. Absolutely love this place! Dr. John is the BEST! His staff are so knowledgeable and professional. They take really great care of you and the results are amazing! Great Dr., listens to patient and gives honest answers. I’ve been going since he started practicing at this location. I am happy I found such a great Dr.
Dr. John and his team are amazing! I can't recommend this practice enough! I've been a patient of Dr. John for years. He is great as well as his staff. I never feel hurried, and they always solve my issues. Couldn't recommend high enough! I am so impressed with Mountain West Medical. The staff was friendly and very knowledgeable. I would definitely recommend to friends and family. Dr. McRae spent a lot of time answering all my questions and gave me great advice for my health to improve. Dr. John and his entire staff, have been amazing since the first day i came in to see them. Very thorough, respectful of all the patients needs. Dr John is so friendly and knowledgeable! Not only that but crazy funny! When I have been feeling sick or a family member, he has got us in immediately.